Softball camps provide youth athletes a one of a kind opportunity to build confidence, develop skills, and meet new friends in the off season. Finding the right summer softball camp in California is an important decision and can help take your game to the next level. With so many softball camps in California it can be a challenge to find the best fit for your child’s needs. Whether you are searching for beginners or advanced high school athletes Sports Camp Connection can help. Search below to find university of California softball camps free information on quality youth California softball camps. The San Diego State University Women's Softball Camp located in San Diego CA offers youth athletes an amazing opportunity to learn from top conference coaches and staff. Come experience Aztecs Softball and take your game to the next level. Request more information today! Join the experienced and knowledgeable CAL Baseball Coaching Staff this summer at one of our Cal Berkeley Baseball Camps. Baseball Camp instruction includes position specific training, fundamental skill development, and drills concentrating on throwing, hitting, pitching, catching, and defensive techniques. The UCLA Bruins Baseball Camp offers quality instruction in all aspects of the game. The Youth Day baseball camp features a fun and positive approach, appropriate for players of all ability levels. More than 30 years ago, Skyhawks had the vision that every child should experience the joy and benefits of sports. Skyhawks offers 11 different sports (Soccer, Basketball, Flag Football, Baseball, Multi-Sport, Tennis, Lacrosse, Golf, Volleyball, Cheerleading, and Track & Field) camps and programs. The UC Davis Softball Camps are still accepting registration for this summer. A variety of options are available for all age levels.All areas will be discussed including the physical and mental aspect of the game. Evenings will include team building activities and fun events. For almost three decades, Joe Magno MISTER BASEBALL has run the most effective baseball training camp in Southern California. The Baseball camp focus is on Hitting, Pitching, Fielding and Catching. 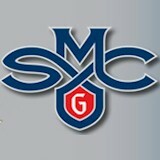 Saint Mary's College Athletic Summer Camps will focus on athletes mental and physical preparedness to play Division I Baseball. A Baseball camp Individual and small group instruction will include pitching, hitting, fielding and base running and video analysis. 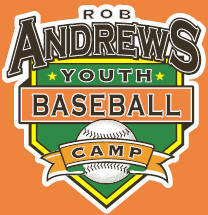 Rob Andrews Baseball Camp has provided outstanding youth baseball programs to the children of the San Francisco Bay Area. These children's baseball camps have gained quite the reputation for excellence. These fun-filled, action-packed baseball skills camps include two different programs: the Regular Baseball Camp and the Advanced Training Camp (ATC). Both of these baseball training camps feature lots of baseball instruction and fun activities. The Mark Cresse School of Baseball was created in 1984 by Mark Cresse, coach for the Los Angeles Dodgers, and Jeff Pressman, high school baseball coach, experienced baseball camp executive, and creator of our unique 8 week baseball camp format. Cal State Hayward Baseball Camps will hold six developmental baseball camps this December on the Hayward campus for players ages 7-18. The Cal State Hayward Baseball Camps will be comprised of three days of progressive learning and skill development. Pioneer Head Coach Dirk Morrison, his coaching staff and players will provide instruction. West Coast Baseball School (WCBS) is a year round professionally staffed Baseball/Softball Instructional School. 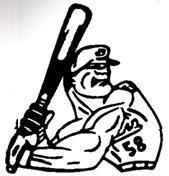 The Baseball School provide private, semiprivate, group and team lessons plus special advanced instructional programs. The Baseball School focus is on catching, throwing, hitting, fielding, pitching, base running, strength training, conditioning, mental training and baseball career counseling. Bronco Baseball Academy (BBA) is dedicated to providing comprehensive instruction to ballplayers of all skill and age levels. Bronco Baseball Academy (BBA) combines a steady training of fundamentals and skill drills with fun, competitive games and events that strengthen every player's ability to succeed between the lines.